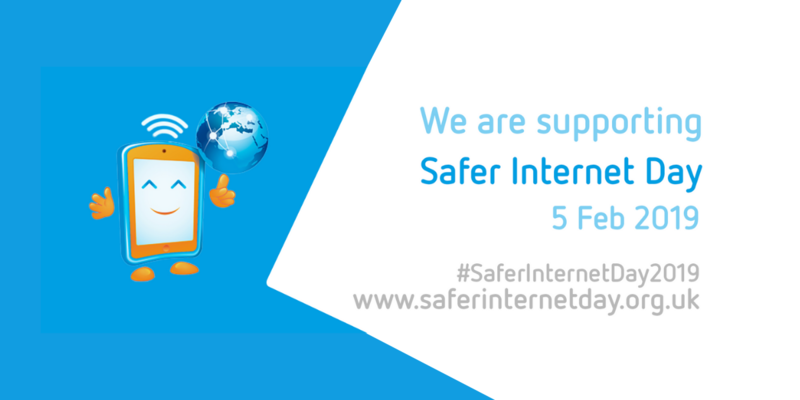 Today is Safer Internet Day 19, coordinated in the UK by the UK Safer Internet Centre the celebration sees hundreds of schools and organisations join together to raise awareness of online safety issues and run events and activities right across the UK. Across turn IT on our consultants are spreading this year’s theme “Together for a Better Internet” to pupils, parents and teachers today and throughout this week. Here are some of the activities our consultants have planned. Jen Cleary, a consultant in London, will be running “Internet Carousels” at two of her schools. Children and Parents will get to explore different aspects of being online together, promoting discussion between families as well as learning about how the internet works. There will be a number of super fun activities including an IT careers quiz, making your own online safety video clip, a huge whole school art piece about the internet of the future and some arts and crafts activities that look at how the internet works. Phil Wickins, a consultant in our South team, will be using the Safer Internet Day resources on the website in his classes this week alongside the online activities from Thinkuknow. Narden Mooneapillay, a consultant in our London team, will be running assemblies across his schools this week, with the EYFS and KS1 assemblies being run by the Digital Leaders from each school who have been practising and preparing over the last week. He will also be delivering KS2 workshops covering Consent, Social Media and Online Grooming. Narden will also be making use of the online activities from Purplemash this Safer Internet Day as they hope to set a new world record for the most people online completing the same activities. Matthew Nott, based in our Buckinghamshire team, will be spreading the SID message at 2 of his schools this week by running an e-safety workshop with year 6 pupils, assemblies to all pupils in Key Stage 2, holding a staff meeting and then giving an e-safety presentation to parents. Damian Doyle, team manager and consultant in our South team, has made e-safety the focus of this first half term. He has conducted a survey of home computer use for all children from year 1 to 6 (finding out who has their own device, how long they spend on it, what they use it for, if they use social media…). Using the results from this survey with the children they have identified the areas where staying safe online is pertinent to this school in particular. Upcoming topics to be discussed in classes have come from the survey results and include, Why are some games 16/18? What effects can these games have on us? Why is social media recommended for 13-year olds and older? Fortnite – what should you be aware of? Strangers and what is grooming? Sharing videos – what’s the harm? Today Dorset Police will be coming into the school to give assemblies to year 2 and year 6 pupils along with a drop in coffee morning for parents. These Safer Internet Day sessions are being run by turn IT on teaching consultants. We offer a range of curriculum services including teacher training, PPA cover and team teaching. Please contact us if you would like to know more.